S.Pellegrino is looking for the next generation of young chefs who are pioneering the use of gastronomy as a device for social change. As such, S.Pellegrino has announced the return of its S.Pellegrino Young Chef, a global culinary competition which facilitates access to the gastronomy community; enabling young talents to demonstrate their personal belief. "We are committed to supporting the international gastronomy community by nesting, discovering and promoting the next generation of culinary talent, enabling it to demonstrate their personal belief leveraging the transformative power of gastronomy," says Stefano Marini, director of Sanpellegrino's International Business Unit. Applications for the fourth edition of S.Pellegrino Young Chef will open from February 2019 and, for the first time, there will be three additional awards on top of the title of S.Pellegrino Young Chef. Fine Dining Lovers Food for Thoughts Award: Voted for by the online Fine Dining Lovers community – this award will be for the young chef who best represents his or her personal belief within his or her dish. S.Pellegrino Award for Social Responsibility: Voted for by an internationally recognised voice on sustainability in food – this dish will represent the principle that food is best when it’s the result of social responsibility practices. 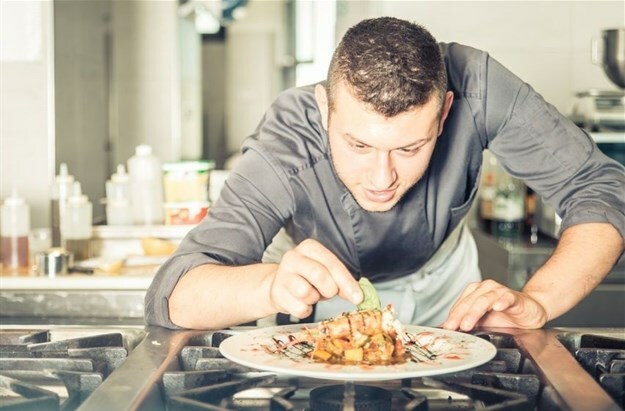 S.Pellegrino Young Chef Award: Voted for by the esteemed panel of Seven Sages – this winning chef must demonstrate technical skills as well as genuine creativity. He or she will have also displayed a strong personal belief about gastronomy, that will convince the jury about his or her ability to become a catalyst for positive change. The winners of S.Pellegrino Young Chef’s awards will be presented with the opportunity to gain global visibility and professional prestige. The winners will also be invited to take part in several of the S.Pellegrino’s annual events that take place all around the world, including events related to future Young Chef competitions. Applications for S.Pellegrino Young Chef 2019/20 will open on 4 February 2019 and will run until 30 April 2019.